Rotary’s Four Avenues of Service are the philosophical and practical framework for the work of this Rotary club. (a) Day and Time. This club shall hold a regular meeting at least twice a month on the day and at the time provided in the bylaws. (b) Meeting may be held in person or online, to alternate between online and in-person meetings, or even to use both formats at the same time (for example, a member could participate in an in-person meeting through a video chat). (b) Change or Cancellation of Meetings. For good cause, the board may change or cancel a regular meeting to any day during the period commencing with the day following the preceding regular meeting and ending with the day preceding the next regular meeting, or to a different hour of the regular day, or to a different place. Section 2 Annual Meeting. An annual meeting for the election of officers shall be held not later than 31 December as provided in the bylaws. Section 1 General Qualifications. This club shall be composed of adults who have demonstrated good character, integrity and leadership; have a good reputation in their business, profession and community; and are willing to serve in their community and around the world. Section 2 Kinds. This club shall have several kinds of membership, namely: active, honorary, associate, corporate, and family, as long as these members are active members and pay RI membership dues. Section 5 Dual Membership. No person shall simultaneously hold active membership in this and another club. No person shall simultaneously be a member and an honorary member in this club. 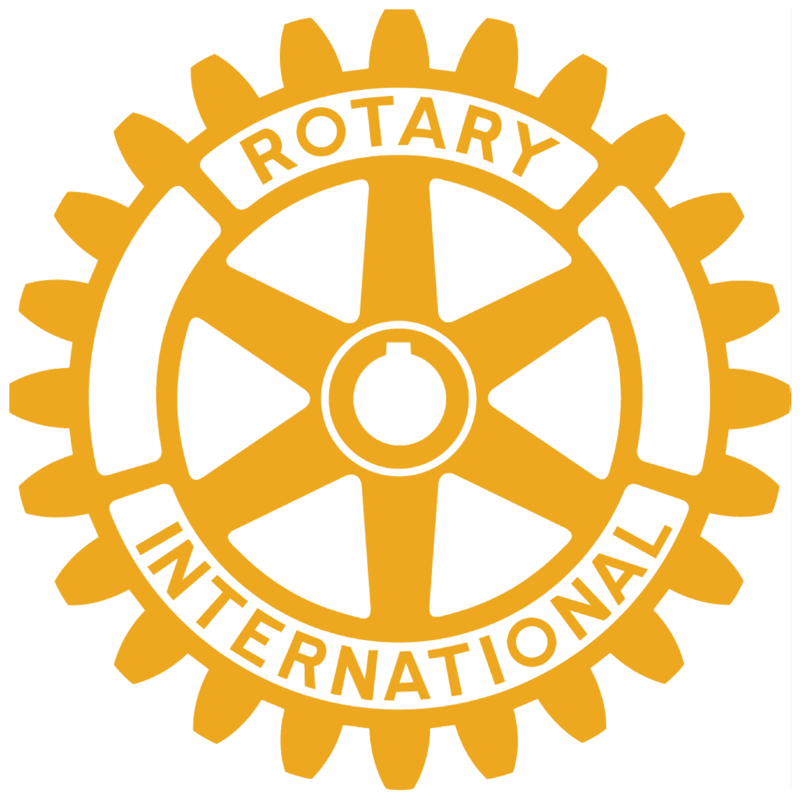 Rotaractors who meet the qualifications for membership may join a Rotary club while remaining Rotaract members. (a) Principal Activity. Each member shall be classified in accordance with the member's business, profession, or type of community service. The classification shall be that which describes the principal and recognized activity of the firm, company, or institution with which the member is connected or that which describes the member's principal and recognized business or professional activity or that which describes the nature of the member’s community service activity. Section 2 Limitations. This club shall not elect a person to active membership from a classification if the club already has five or more members from that classification, unless the club has more than 50 members, in which case, the club may elect a person to active membership in a classification so long as it will not result in the classification making up more than 10 percent of the club's active membership. Members who are retired shall not be included in the total number of members in a classification. The classification of a transferring or former member of a club, or a Rotary Foundation alumnus as defined by the board of directors of RI, shall not preclude election to active membership even if the election results in club membership temporarily exceeding the above limitations. If a member changes classification, the club may continue the member's membership under the new classification notwithstanding these limitations. These Board has the right to change attendance requirements and termination policies involving members with poor attendance. Section 2 Extended Absence on Outposted Assignment. If a member will be working on an outposted assignment for an extended period of time, attendance at the meetings of a designated club at the site of the assignment will replace attendance at the regular meetings of the member’s club, provided there is a mutual agreement between the two clubs. (b) they have been a member of one or more Rotary clubs for at least 20 years, their years of club membership plus their age equals at lease 85 and the member has notified the club secretary in writing of the member's desire to be excused from attendance and the board has approved. Section 5 Attendance Records. Any member whose absences are excused under the provisions of subsection 3(b) or section 4 of this article shall not be included in the membership figure used to compute this club's attendance. Section 3 Board Action Final. The decision of the board in all club matters is final, subject only to an appeal to the club. However, as to a decision to terminate membership, a member, pursuant to article 12, section 6, may appeal to the club, request mediation, or request arbitration. If appealed, a decision of the board shall be reversed only by a two-thirds vote of the members present, at a regular meeting specified by the board, provided a quorum is present and notice of the appeal has been given by the secretary to each member at least five (5) days prior to the meeting. If an appeal is taken, the action taken by the club shall be final. Section 4 Officers. The club officers shall be a president, a president-elect, and one or more vice-presidents, all of whom shall be members of the board, and a secretary, a treasurer, and a sergeant-at-arms, who may or may not be members of the board as the bylaws shall provide. (c) Qualifications. Each officer and director shall be a member in good standing of this club. The president-elect shall attend the district presidents-elect training seminar and the district assembly unless excused by the governor-elect. If so excused, the president-elect shall send a designated club representative who shall report back to the president-elect. If the president-elect does not attend the presidents-elect training seminar and the district assembly and has not been excused by the governor-elect or, if so excused, does not send a designated club representative to such meetings, the president-elect shall not be able to serve as club president. In such event, the current president shall continue to serve until a successor who has attended a presidents-elect training seminar and district assembly or training deemed sufficient by the governor-elect has been duly elected. Every member shall pay an admission fee and annual dues as prescribed in the bylaws, except that any transferring or former member of another club who is accepted into membership of this club pursuant to article 7, section 4 shall not be required to pay a second admission fee. A Rotaractor who ceased to be a member of Rotaract within the preceding two years, who is accepted into membership of this club, shall not be required to pay an admission fee. (b) Reinstatement. The board may reinstate the former member to membership upon the former member's petition and payment of all indebtedness to this club. However, no former member may be reinstated to active membership if the former member's classification is in conflict with article 8, section 2. (2) attend at least 30 percent of this club's regular meetings in each half of the year (assistant governors, as defined by the board of directors of RI, shall be excused from this requirement). (b) Consecutive Absences. Unless otherwise excused by the board for good and sufficient reason or pursuant to article 9, sections 3 or 4, each member who fails to attend or make up four consecutive regular meetings shall be informed by the board that the member's non-attendance may be considered a request to terminate membership in this club. Thereafter, the board, by a majority vote, may terminate the member's membership. (a) Good Cause. The board may terminate the membership of any member who ceases to have the qualifications for membership in this club or for any good cause by a vote of not less than two-thirds of the board members, at a meeting called for that purpose. The guiding principles for this meeting shall be article 7, section 1, and The Four-Way Test. (c) Filling Classification. When the board has terminated the membership of a member as provided for in this section, this club shall not elect a new member under the former member's classification until the time for hearing any appeal has expired and the decision of this club or of the arbitrators has been announced. However, this provision shall not apply if, by election of a new member, the number of members under the said classification would remain within provided limitations even if the board’s decision regarding termination is reversed. (a) Notice. Within seven (7) days after the date of the board's decision to terminate membership, the secretary shall give written notice of the decision to the member. Within fourteen (14) days after the date of the notice, the member may give written notice to the secretary of the intention to appeal to the club, request mediation, or to arbitrate as provided in article 16.
the board may, by a vote of not less than two-thirds of the board, suspend the member for up to 90 days and on such further conditions as the board determines. A suspended member has the right to appeal the suspension or request mediation or arbitration. Article 14 Rotary Magazines Section 1 Mandatory Subscription. Unless, in accordance with the bylaws of RI, this club is excused by the board of directors of RI from complying with the provisions of this article, each member shall, for the duration of membership, subscribe to the official magazine or to the magazine approved and prescribed for this club by the board of directors of RI. The subscription shall be paid in six (6) month periods for the duration of membership in this club and to the end of any six (6) month period during which membership may terminate. Section 3 Mediation. The procedure for such mediation shall be that recognized by an appropriate authority with national or state jurisdiction or be that recommended by a competent professional body whose recognized expertise covers alternative dispute resolution or be that recommended by way of documented guidelines determined by the board of RI or the trustees of The Rotary Foundation. Only a member of a Rotary club may be appointed as mediator(s). The club may request the district governor or the governor's representative to appoint a mediator who is a member of a Rotary club and who has appropriate mediation skills and experience. Section 2 Amending Article 2 and Article 3. Article 2 (Name) and Article 3 (Locality of the Club) of the constitution shall be amended at any regular meeting of this club, a quorum being present by the affirmative vote of not less than two-thirds of all voting members present and voting, provided that notice of such proposed amendment shall have been mailed to each member at least ten (10) days before such meeting, and provided further, that such amendment shall be submitted to the board of directors of RI for its approval and shall become effective only when so approved. The governor may offer an opinion to the board of directors of RI regarding the proposed amendment.